The creator and producer of "60 Minutes" Don Hewitt, died at 86 on August 20, 2009. "Back in the days when television was in black and white, Don Hewitt was creating and producing the world's first taste of 'news at the dinner hour'…Big event television news? Hewitt birthed it. The anchor on location for the big story? Hewitt birthed that too. "And then there was the 'big get.' Hewitt pioneered that too. Or at least the concept. In 2006, I mailed Mr. Hewitt a DVD copy of my "30 Minutes with Vanunu"
I never received a reply from Mr. Hewitt. 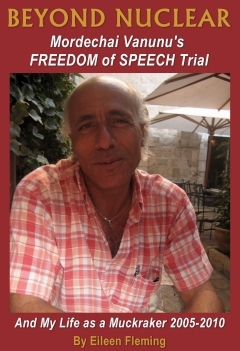 I also will never stop telling the story of the first FREEDOM of SPEECH Trial in the 'democracy' of Israel until Mordechai Vanunu is free to leave the state. “Many journalists come here to the American Colony, from CNN and NY Times. They all want to cover my story, but their EDITORS say no...CNN wants to interview me; but they say they can't do it because they don't want problems with the Israeli censor. BBC is doing the same thing. "Sixty Minutes from the United States from the beginning they wanted to do a program, but because of the censor situation they decide not to do it. Also big media from Germany, France, Italy, Japan. None of them wants problems with the Israelis." On September 23, 2008, the Jerusalem District Court reduced Vanunu’s sentence to three months, "In light of (Vanunu’s) ailing health and the absence of claims that his actions put the country’s security in jeopardy." 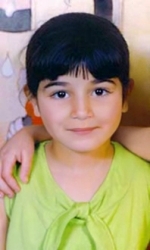 On July 6, 2009, Supreme Court President Dorit Beinish continued to deny Vanunu the right to leave the Jewish State, claiming his "case is still generating great interest, like any other security-related case. The media's attention he gets is proof of that." In the 1980's Vanunu, a secular Jew held a low tech position in the seven story underground WMD Plant in the Negev, called the Dimona. After Vanunu had a crisis of conscience about being a cog in the making of WMD's he easily obtained the keys to the restricted areas that a supervisor had left in the shower room and shot two rolls of film documenting the fact that Israel had gone nuclear. In 1986, Vanunu resigned from the Dimona and left the country but did not develop the film until he met Peter Hounam in Sydney, Australia. In 2005, Vanunu told me, “After I left Israel I spent two days in a Moscow hotel wondering if I should tell my story to the Red Army, I decided to leave instead. The reason I had arrived there was that before I left the Dimona I had checked out the Palestinian Communist Party to see how the communists worked. I was curious and wondered about once I left Israel, that maybe they would help me. But when I witnessed the poverty and nothing but military cars everywhere I decided to get out of there." In Sydney, Vanunu worked as a cab driver and began attending a social justice Anglican Church where he was baptized a Christian. Shortly thereafter, he met Peter Hounam, a London Sunday Times journalist and together they developed Vanunu's film. Peter then flew with Vanunu to London for 'safe keeping' while he began to vet the story that proved Israel already had upwards of 200 nuclear warheads by 1986. However, this took more days than Vanunu had patience to bear in solitude and out of boredom he wandered around the streets of London and met an American named Cindy-who claimed to be a beautician on holiday-but she worked for the Mossad. When I asked Vanunu what he was thinking when he took off from London to Rome with Cindy, he looked me straight in the eye and said, "It wasn't like THAT!" Vanunu explained that the Daily Mirror, a UK tabloid that never interviewed him obtained and published some of the Dimona photos, a photo of him and a demeaning article. He panicked and thought that the Times wouldn't publish his story and he knew the Mossad would be after him. He accepted Cindy's offer of a safe haven in Rome where she claimed her sister had an apartment, but when Vanunu crossed the threshold, he was hit on the head, drugged, bound and flung upon an Israeli cargo ship heading home. The London Sunday Times published their well vetted story just as Vanunu disappeared and nobody knew what had happened to him until he was being transported to his closed door trial. Vanunu had been inspired to write on his palm; "HIJACKED" and the Rome flight number he had been on. A photographer captured that image which irritated the Israeli government so much, that they shielded Vanunu from the world until his release from 18 years in jail on April 21, 2004. "I am not harming Israel. I am not interested in Israel. I want to tell you something very important. I suffered here 18 years because I am a Christian, because I was baptized into Christianity. If I was a Jew I wouldn't have all this suffering here in isolation for 18 years. Only because I was a Christian man." Although released in 2004, Vanunu has been held captive in Jerusalem under the Emergency Defense Regulations which were implemented first by Britain against Palestinians and Jews after World War II. After WW II, Attorney Yaccov Shapiro, who later became Israel's Minister Of Justice, described the Emergency Defense Regulations as "unparalleled in any civilized country: there were no such laws in Nazi Germany." I asked Vanunu, "If the British Mandate has expired why not the British Mandate's Emergency Defense Regulations? " Vaunu replied, "The reason given is security but it is because Israel is not a democracy unless you are a Jew. This administration tells me I am not allowed to speak to foreigners, the Media, and the world. But I do because that is how I prove my true humanity to the world. My freedom of speech trial began January 25, 2006 for speaking to the media, the same day as the Palestinian elections. "When I decided to expose Israel’s nuclear weapons I acted out of conscience and to warn the world to prevent a nuclear holocaust…The Israeli media demonized me...they published many lies about me...and Israel kept me totally isolated in prison for most of the 18 years...I am also regarded as a traitor because I was baptized a Christian. "My Christian conversion was also considered as treason and led to me receiving more time in jail than any murderer has ever served. The Israelis have this very beautiful article about freedom and liberty but they want to destroy anyone who criticizes them for revealing the truth to the world. The world must look and see what kind of democracy Israel is when one speaks out the truth. "It's very sad that Hilary Clinton went to the Jewish Wailing Wall and forgot the real crying wall is the Palestinian wall-the apartheid wall. 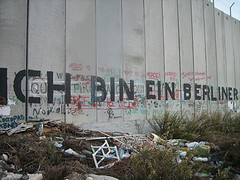 The wall is not for defense, but to keep this conflict permanent. The people who need the help are the Palestinian Christians. "Israel propaganda portrays all Palestinians as Muslim extremists and Hamas terrorists and neglect that Palestinian Christians are following the true message of Jesus Christ with nonviolent resistance. We need all Christians to come and see the true facts on the ground. "The Dimona is 46 years old; reactors last 25 to 30 years. The Dimona has never been inspected and Israel has never signed the Nuclear Proliferation Treaty but all the Arab states have. "Twenty years ago when I worked there they only produced when the air was blowing towards Jordan ten miles away. No one knows what is happening now. "The Israelis have 200 atomic weapons and they accuse the Palestinians and Muslims of terrorism. The world needs to wake up and see the real terrorism is the occupation and the Palestinians have lived under that terror regime for 40 years. "The only way to peace is peace; the only way is nonviolence. The only answer to Israeli nuclear weapons, their aggression, occupation and oppression, and the wall and refugee camps is to answer them with truth and a peaceful voice. When I became the spy for the world, I did it all for the people of the world. If governments do not report the truth, and if the media does not report the truth, then all we can do is follow our consciences. Daniel Ellsberg did, the woman from Enron did, and I did. "The United States needs to wake up and see the truth that Israel is not a democracy, unless you are a Jew. Israel is the only country in the Middle East where America can right now find nuclear weapons. "America can also find where basic human rights have been denied Christians: right here in Israel. The time has come for the United States to see the truth of Zionism. It began as a secular nationalist movement, not a religious one. Then some Christians believed that when Israel became a nation, it was the beginning of the second coming. They are deluded if they believe peace will come through atomic weapons. Atomic weapons are holocaust weapons. Christians should be the first people against them. We need all Christians to come and see the truth for themselves." "No one should ignore the fact that Atomic weapons are in Israel and that it was France most especially who helped build the Dimona reactor in 1960. No one should forget that France was the first state to start nuclear weapons proliferation in secret, not Iran. "The world's problem with Iran is the obligation to help the people of Iran to have freedom and democracy; free from a dictator regime.The problem is not nuclear weapons in Iran but the need for freedom for all the people. I am not at all supporting this Ayatollahs regime in Iran. This regime should be ended and replaced by freedom and democracy for all Iran people. "The same goes for Israel too, which is only a democracy if you are a Jew. The Israeli problem is the Jewish apartheid regime. "No nuclear weapons program is a true deterrent or safeguard mechanism for security because Atomic weapons can only bring destruction. Atomic weapons are a mechanism of self destruction. "How can Israel, the only country in the Middle East known to have a nuclear weapons program expects all others not to even have peaceful nuclear energy programs? "Since Israel has the Bombs, then they can not speak with credibility about stopping all the Middle East states from having at least Nuclear Energy, Nuclear Science and Technology. 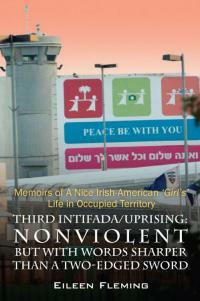 "Israel by all its nuclear secret activities opened the way for any state to do the same. My view is that Nuclear Science and technology must be part of any modern state and society, so all the world and every state should have it. "After almost 50 years of secret nuclear activities and productions of bombs, America, France and the entire world should also intervene and demand Israel sign the NPT, follow all of the IAEA orders, regulations and restrictions. "Instead, Israel puts on me distractions. The real issue in both states is democracy before any thing else and Israel is only a democracy if you are a Jew. "I fulfilled my sentence of 18 years in prison because I listened to my conscience and reported the truth that Israel was manufacturing weapons of mass destruction. It is over four years now that Israel has held me captive in East Jerusalem; forbidding me to speak to any foreigners or to leave the state, which is all I want to do. "For 18 years in prison I felt like a man at a train station, waiting for my train. I lived in a six by nine foot space without a window for 18 years. Every day I would get up, get dressed, put on my shoes, look at the same four walls and wait for that train that never came. "Now I live in a nine by nine space with four walls, I have a window to the Mount of Olives and the street. But, I live like a tourist without even a TV in a cheap hotel and all I want to do is leave Jerusalem. I am no longer waiting for a train. Now I am at the airport terminal waiting for my plane. "All the secrets I had were published in 1989 in an important book, by Frank Barnaby, The Invisible Bomb: Nuclear Arms Race in the Middle East. A few days before Vanunu was lured from London to Rome by the Mossad, he spent three days being interviwed by Nuclear Physicist, Frank Barnaby. Barnaby had been employed by the London Sunday Times to review the 57 photos Vanunu had obtained at various restricted locations in the Dimona. Barnaby also went to Jerusalem to provide expert testimony at Vanunu's closed door trial. "I found the fact that Vanunu was able to smuggle a camera and films into and out of Dimona and photograph highly sensitive areas in the establishment astonishing. 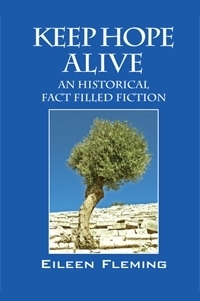 "I very vigorously cross-examined Vanunu, relentlessly asking the same questions in a number of different ways and at different times...I found Vanunu very straightforward about his motives for violating Israel's secrecy laws he explained to me that he believed that both the Israeli and the world public had the right to know about the information he passed on. He seemed to me to be acting ideologically. "Israel's political leaders have, he said, consistently lied about Israel's nuclear-weapons programme and he found this unacceptable in a democracy. "The knowledge that Vanunu had about Isreal's nuclear weapons, about the operations at Dimona, and about security at Dimona could not be of any use to anyone today. "He left Dimona in October 1985 and the design of today's Israeli nuclear weapons will have been considerably changed since then…Modern nuclear weapons bear little relationship to those of the mid-1980." This is Vanunu, Auto reply. NO any news here. The 6 th' year restrictions, not to leave the country continue...FROM NOW ON, FOR $1,000, YOU CAN MEET ME HERE. KIDNAPPED IN ROME SEP' 30 TH'-1986. AFTER 18 YEARS IN ISRAEL PRISON. Mobile (9 7 2) 0 5 2 3 7 4 4 5 6 9.